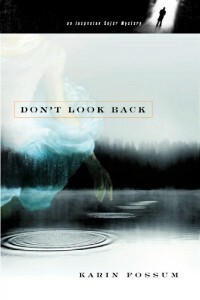 I started this book, then put it down, and then picked it back up multiple times. The book opens with a young girl being picked up by a strange man driving a van, and the idea that this young girl might die was just more than I wanted to deal with. Then I read the book description, and it talked about the body of a teenager being discovered. So with that in mind, I read through the first chapter and was relieved to discover that nothing bad at all happens to the young girl. 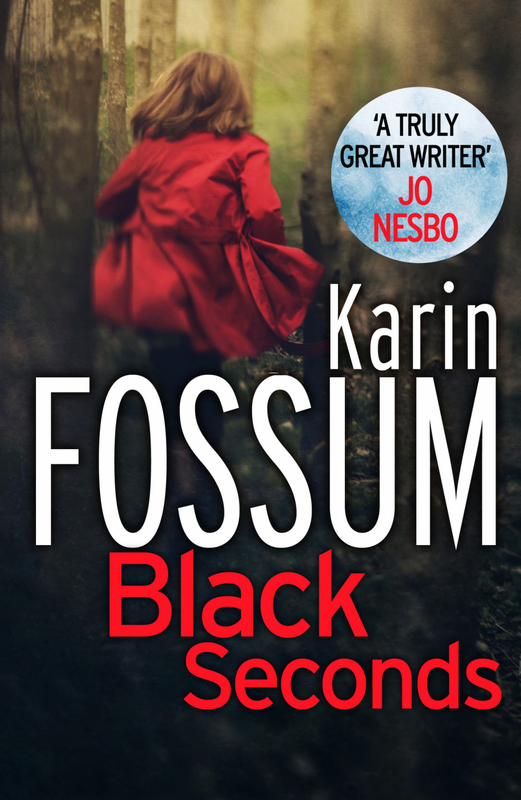 Eventually, we meet Inspector Sejer of the Norwegian police, who is initially called out in the search for the child, and then called back after the body of the teenager is discovered. I’ve discovered that I really really like mysteries set in other countries–especially those written by non-English speakers. I like the glimpses into places and people that are foreign to me. And, despite all the murders and stuff, these mysteries make me want to visit these places. If only I didn’t need air travel to get there. As far as the mystery, once I discovered that the child was NOT killed, I quite enjoyed the story, and I really liked Inspector Sejer. Sejer’s first impulse was to rush forward and left him up, roaring out his great joy in a jubilant voice. That’s the way all children ought to be greeted, with genuine, exuberant joy. That’s is just a marvelous passage. So I quite enjoyed this book and am very glad that I stocked up on these when they went on sale for the kindle. This is the second Inspector Sejer mystery, and once again, the story involves characters on the fringe, who are damaged or not normal. Errki has decided to leave the asylum/institute where he has lived after being involuntarily committed as a danger to himself and possibly others, and the book opens with one of his hallucinations, and I’ll be honest, it’s rather upsetting. The idea of ones guts spilling out, and having to be scooped back up from the ground and shoved back inside is quite upsetting. You immediately understand that Errki is not right. It’s a very personal look at mental illness and possibly one of the best descriptions I’ve come across. But there are glimpses that make it relate-able. He wants to do everything perfectly, and he’s so afraid of making a mistake that he has ended up unable to do anything at all. You spend time with all the characters, not knowing who the murderer is, and not knowing what these characters are capable of. Another interesting story, and I’m glad I grabbed these when they were on sale. I ended up skimming, to find out what happened so I could move it. The story jumps back and forth in time and from point-of-view, from the woman who is the killer to the victim, a beautiful young man who isn’t particularly a good person, and then finally to Inspector Konrad Sejer and Jacob Skarre. I didn’t like the woman, didn’t like the young man, and just did NOT like spending time with them at all. Mind you, it wasn’t badly written or told, I just didn’t want to spend any time with any of the characters. 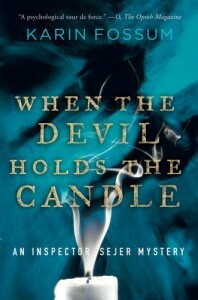 This is another Inspector Sejer mystery, and I’ve found these books to be very hit or miss as to whether I enjoyed them. Luckily, this one was a hit. Gunder Jomann has spent his life alone, with few friends except for his sister Marie. 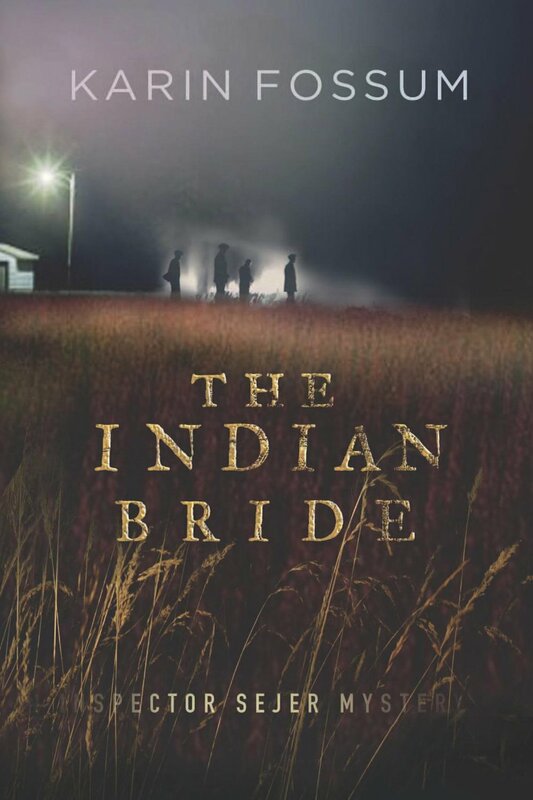 An unexpected gift from Marie sends Gunder to India, convinced that there he will find a wife. This is a “For Want of a Nail” story–in so many little ways, things could have turned out differently, and as I read, I hoped against hope things would turn out better, knowing that of course they wouldn’t. I really like Sejer, as well as Skarre, and the glimpses we get into their lives. And they are fascinating glimpses. You know that policemen have lives outside their jobs, but you don’t consider the mundane details of those things: a poorly trained dog, for instance. More common is the dialog between detectives, but even among the expected there was plenty of humor. “By no means,” Skarre said firmly. “We’re grateful for your help. We’ll look into it.” He hung up. “We’re going straight there,” Sejer said. I told him off,” he said. “My own mother even wagged her finger at me.” Sejer smiled wistfully. “That gives you some idea of how loud I shouted. The strongest part of the story however, is Gunder Jomann, a man it seems nearly impossible to dislike, for he is open and can be taken at face value. I think one of the loveliest bits comes at the end–it’s a tiny bit spoliery, so I’ll ROT-13 it. “Ohg urer’f gur zbfg vzcbegnag ovg. Cbban jnf ohevrq lrfgreqnl. Vg jnf irel ornhgvshy—lbh fubhyq unir orra gurer. Abg irel znal crbcyr, gehr, naq fbzr pnzr bayl bhg bs phevbfvgl, ohg ab znggre sbe gung. Gjb cbyvpr bssvpref jrer gurer, gbb. Ohg lbh fubhyq unir frra gur puhepu! Gur ivpne cnyrq jura ur znqr uvf fbyrza ragenapr naq fnj gur pbybeshy pbssva. V jrag gb n sybevfg va Bfyb, n zna jub’f n erny negvfg jvgu sybjref. V gubhtug gung bayl gur orfg jnf tbbq rabhtu. V qvqa’g jnag jung crbcyr hfhnyyl beqre sbe sharenyf. Obhdhrgf naq fb ba, va cvax be oyhr. Ohg uhtr tneynaqf znqr sebz lryybj naq benatr sybjref. Fbzrguvat gehyl Vaqvna, vs lbh xabj jung V zrna. Ur jnf ernyyl rkpvgrq naq lbh fubhyq unir frra gur erfhyg. Gur grzcrengher va gur puhepu ebfr ol frireny qrterrf. Vg jnf yvxr qnapvat synzrf ba gur qnex znubtnal pbssva. Jr cynlrq Vaqvna zhfvp. That’s just so very lovely. So I quite enjoyed this story. 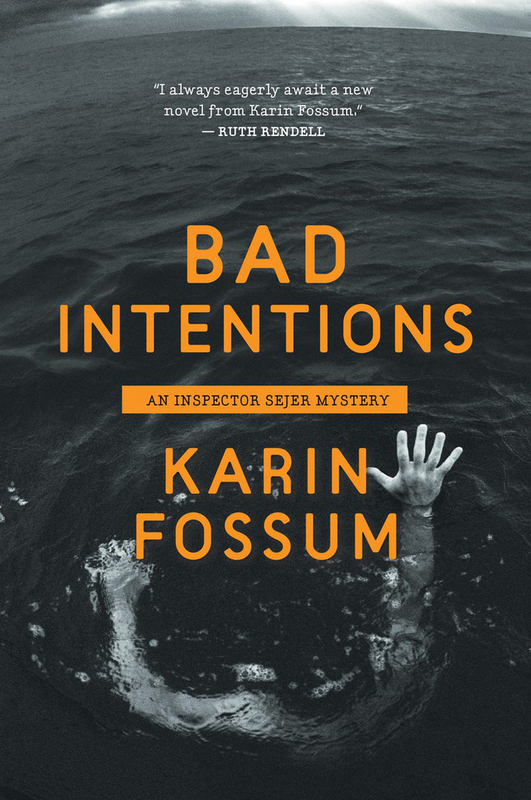 I read a bunch of Inspector Sejer mysteries a couple years ago, but when I picked this one up and realized that the murder victim was going to be a child, I went to something else. So there’s your upfront warning. The victim is a child. HOWEVER, that death is unseen, so it wasn’t as horrible as I was thinking it was. It’s bad enough when a child is the victim in a murder mystery, but I find it completely unpalatable when the author describes the child’s fear and suffering (or, to be honest, in many cases, an adult’s fear and suffering). Ida Joner has disappeared. The whole town turns out to search, but there is no sign of her. Emil Mork is an older man who doesn’t speak. 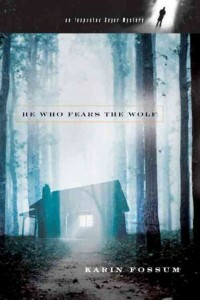 He is cared for by his elderly mother Elsa, who wonders what will happen once she dies. 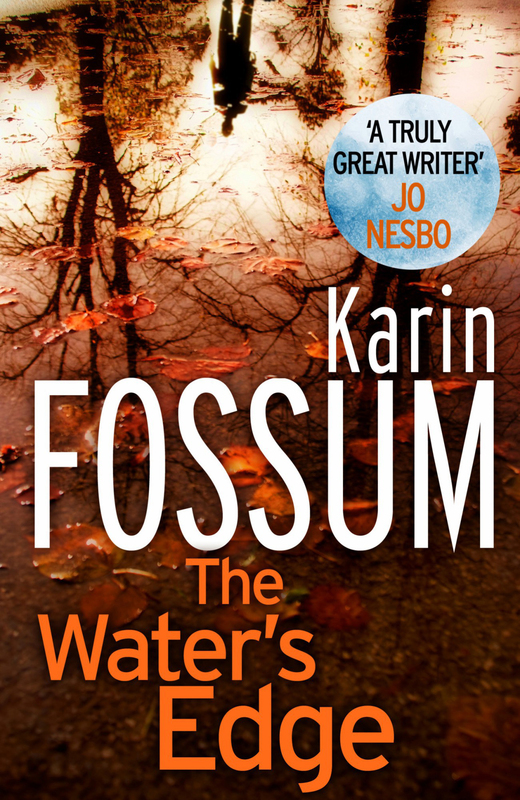 Ruth Rix, the aunt of the missing girl, has her own problems, with a teenage son who is wrapped up in his car–he seemingly doesn’t care about his missing cousin. One of the hardest things to read in this story was not about the girl, but about her mother. Helga had an idea. She would do something completely normal. Several agonizing days had passed. If she went about her business, everything would go back to the way it was. If she left the house to get some milk and a loaf of bread, Ida would turn up while she was out. The telephone would ring. All the things that had not happened precisely because she was waiting for them. Since it had been so long since I read the earlier books, I’d forgotten how much I liked Sejer. (H)e wanted to understand. If all he were required to do was arrest people and help them make a confession, the job would be pointless as far as he was concerned. He is also very good with the mother of the young girl. I’ll now read the next story I have in this series, knowing that although bad things happen to kids, at least we don’t have to watch the bad things as they happen. A married couple, out for their weekly walk, pass a strange man exiting the area, and then stumble upon the body of a young boy. One of the things I especially like about Inspectors Sejer is that his thinks a good deal about the victims and the families of the victims. That’s not always something one sees in American crime fiction. Not that the families are ignored in American crime fiction, but the reactions are immediate. In these stories you have the realization that these lives are permanently disrupted. We’ve found a little boy by Lake Linde. He matches your description of Jonas August and we need you to come with us to the Institute of Forensic Medicine first thing tomorrow morning, so we can confirm whether or not the dead boy is your son. Those would be his words. And in one second her life would go from order to chaos. That is a heart-breaking scene. There is a fascinating sub-story as well, that of the couple who found the body of the boy, and what happens to them as the case progresses. How the lives of those two people were changed just as the mother of the boy was changed. This is a fascinating series, although be aware it is quite dark. Three young men go out on a lake at night. One–the young man on release from the psychiatric hospital–falls into the lake. One of the two remaining men keeps the other from going into the lake after their friend, and contrives a complicated story about how the disturbed young man disappeared overnight. It’s quite clear from the start how the young man died, but what is unclear is why he died, and why his companions lied about his death. As with previous stories, we see not just a few moments into the lives of the survivors after the death, but further into their futures.